Steam navigation for passenger transport on the River Elbe can look back on a history of 175 years. It was on 8 July 1836, that twelve Dresden citizens received a royal privilege for steam navigation within the borders of Saxony. Shortly afterwards, the “Elbdampfschiffahrts-Gesellschaft” was founded. The company’s name has changed several times over the course of many decades. In 1910, the fleet moved to its present moorings on the Dresden Terrassenufer quayside below the famous Brühlsche Terrasse, and in 1911 the company already owned 33 steamers. After 1945, sadly, their number was reduced to eight. During the GDR years, the fleet operated under the name “Weisse Flotte Dresden”. German unification, however, heralded a new period of uncertainty. In 1993 and 1994, the new owner of the fleet, Sachsische Dampfschiffahrts GmbH & Co. Conti Elbschiffahrts KG, initiated the restoration of the eight remaining paddle steamers, devoting careful attention to original historical details. The Dresden fleet was thus preserved as the oldest and largest paddle steamer fleet in the world. In December 1999, the Sächsische Dampfschiffahrt repurchased the passenger steamer “Krippen”, which was subsequently reconstructed at the Laubegast shipyard in the summer of 2000, prior to joining the fleet once more as the ninth historical paddle steamer. In 1879The paddle steamer “Dresden III” entered service. It is the oldest paddle steamer of the fleet, today operating under the name “Stadt Wehlen”. The fleet now comprised 20 paddle steamers. 1901With a fleet of now 36 steamers, the company carried a total of 3,460,151 passengers. In 1910All paddle steamers moved to their present moorings on the Dresden Terrassenufer quayside. In 1911The Sächsisch-Böhmische Dampfschiffahrts-Gesellschaft owned 33 paddle steamers and employed 535 people. 29. January 1917The River Elbe was frozen over completely between Posta and Litomerice. Sale of 10 steamers. 191914 vessels were renamed and now bear the names of towns rather than monarchs. 21. March 1923Founding of the Sächsisch-Böhmische Dampfschiffahrts-Aktiengesellschaft (SBDA). In 1928Replacing the traditional green-and-white colour scheme, the national colours of Saxony, all ships were painted completely white, giving the fleet the name “Weisse Flotte”. 1929The last new construction at that point, the paddle Steamer "Leipzig", which is still in action today, leaves the shipyard Laubegast. 8. July 1936The company celebrated its 100th anniversary with a grand parade of its paddle steamers. In 1940Almost 3 million passengers carried. In 1942The steamers received camouflage painting (Second World War). After 1945Due to severe war damage and the reparations to be paid to the Czech Republic and the Soviet Union, the fleet was reduced to 8 intact paddle steamers. 1. July 1948The Sächsisch-Böhmische Dampfschiffahrts-Gesellschaft was nationalised under the name “VEB Elbeschiffahrt Sachsen”. In 1950Establishing of the DSU, a central German navigation and transhipment organisation, with offices in Potsdam. 1963/64Four modern, diesel-electric side-wheelers from the Rosslau shipyard joined the fleet. 1965First travel agency trips to Czechoslovakia. In 1967The enterprise was renamed “VEB Fahrgastschiffahrt Dresden”. Management of the shipyard in Laubegast was transferred to “VEB Schiffsreparaturenwerfte” in Berlin. 1974/75Motor tenders “NEWA” and “MOSKWA” taken into operation to provide express services between Dresden and Bad Schandau. From 198019 ships in operation. The paddle steamer “Diesbar”, which is powered by the oldest steam engine still in service anywhere in the world, was placed under a preservation order. 1980The engine of the paddle steamer “Diesbar” was placed under a preservation order as a technical monument. This status was granted to the whole ship in 1985. 1837 to 1982The Elbe shipping companies in Dresden possessed a total of 82 passenger vessels over this period. 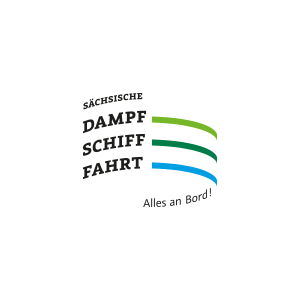 End of 1992The company was sold to shipping operator Conti, and was subsequently renamed “Sächsische Dampfschiffahrts GmbH & Co. Conti Elbschiffahrts KG”. Mid-1994With eight historical paddle steamers (meticulously restored at a cost of approx. DM 1.5 million each), the two newly built salon ships “Gräfin Cosel” and “August der Starke”, and two smaller motor cruisers, the company boasts the oldest and largest paddle steamer fleet in the world. 24. August 1996The company celebrated its 160th anniversary with a grand festival and guests from all over Europe. March 1998"die flotte Schiffsgastronomie GmbH" a subsidiary company of Hilton International, took over the catering for all 12 ships. October 1998Sächsische Dampfschiffahrt welcomed the 3,333,333rd passenger carried since services were resumed under the new flag in 1993. December 1999Repurchasing of the paddle steamer "Krippen". Sächsische Dampfschiffahrt now owned 9 historical paddle steamers. End 1999The company generated an annual profit for the first time since its refounding in 1993. August 2000recommissioning of the paddle steamer "Krippen"
10-31 August 2002All services had to be suspended due to the Elbe flood catastrophe in Saxony. Highest water level in Dresden: 9.40 metres on 17 August 2002. 2003Several weeks of extremely low water, with levels falling to below 80 centimetres in Dresden. As a result, serious disruption to regular services, special cruises and charter business. 2006New record year for Sächsische Dampfschiffahrt: Approx. 760,000 passengers, a turnover of approx. € 9.3 million, and a profit of € 1.5 million. Juni 2013flood in Dresden, highest water level on June 6th 2013: 8,76m; halt of shipping for 16 days. No ship loss. March 2015The SDS Group (Sächsische Dampfschifffahrt and its subsidiary company, ElbeZeit GmbH) move together to the new company headquarters at Georg-Treu Platz in Dresden. 2016divestment of the motor launch "Lilienstein" / Now it´s called "Barnimer Land" and operates in the biosphere reserve Schorfheide-Chorin and the nationalpark Unteres Odertal.